Re: '07 Reunion at Dayton Marriott -- I can't make it - But I'll be there in memory and in spirit. Please convey my greetings to all, and my very best wishes for a grand reunion! My name is Mick Maguire, my grandfather was George Henry (Paddy) Maguire. He was a member of McPherson's crew, 530th, from early 1944 to the war's end and also flew numerous black cat sorties; his position was navigator. Fellow crew members were Vern Hiles, Hal Dixon, Delgrano, fairhead. 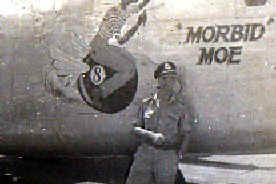 He was also very good friends with Col McKinney, another RAAF buddy. A school teacher by profession, he taught in Kavieng, Papua New Guinea for 2 years until 1940; during this time he developed the fine art of navigating while sailing around many of the Southern Pacific Islands. This ability saw him placed to teach American crews. In my searches for info on my grandfather I've not been very successful in finding anything that's of note! As I believe from 2 members of his flight crew he was highly regarded as a wonderful teacher to the American crews he flew with in the fine arts of navigation in the Pacific region. I have numerous pics from his time in the islands and none really tell much of a tale as to where he was at the time but there are some wonderful shots among them and I'll do my best to get them to you so that you can place them on your wonderful site and hopefully some members may recognise the scenes. If this info could be passed on to members of the site it would be greatly appreciated as it would be great to get some info on my grandfather as I was so unfortunate to be born 4 years prior to his passing in 1972 in Brisbane Australia after a 30-year struggle with post traumatic stress and heart complications. If any of the stories my father relays about his exploits are true, I only wish that I could turn the clock back and watch from a distance the brave duty he and his fellow crew members carried out in such a time of great importance to all human beings. If anyone knew Paddy Maguire, please contact Mick. 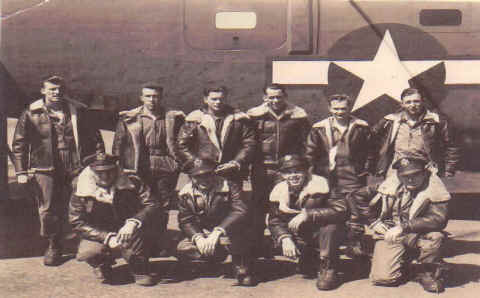 I recently discovered your web site about the 380th Bomb Group. 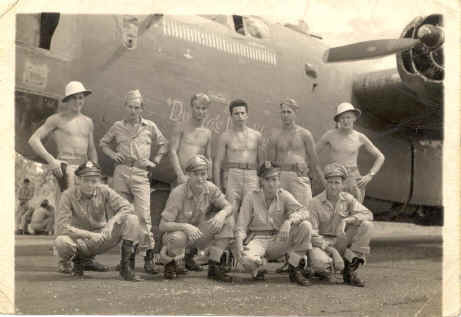 My father was a crew member of the B-24 known as the Flak Fled Flapper. He was a waist gunner and as he was the oldest member of the crew at age 30, he was called "pappy." I have attached some info that you might find useful on your website. 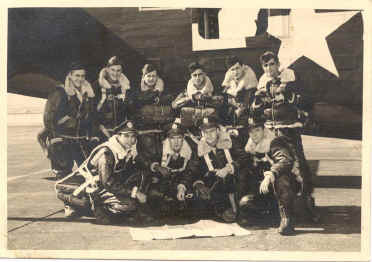 The photo was taken in California, this is the crew that took the aircraft to Australia, I don't have the names of the other crew members. As you know, the 380th was part of the 5th Air Force and the patch on my father's flight jacket showing which squadron he was attached to had a cartoon figure riding a falling bomb and carrying a machine gun. If anyone knows the names of any of the crew in this photo, let us know. Let us know if you can identify this photo and/or the man in it! My name is Bill Stevenson and I am the son of Walter Stevenson (L. Loudon's crew of "Dottie's Double"). Last year I joined the Flying Circus, 380th Bomb Group Association and have sincerely enjoyed reading of the many activities and historical resources of your fine organization. I am hopeful you can assist me: What is the best way to learn if any of Dad's crew are still living? Thank you Ms. Gotham. I am pleased to read you will be assuming the leadership of the association. I have many photographs and war memorabilia from Dad's service in the Air Force. Perhaps I can share these through your organization if you feel they would be of interest. Thank you for your prompt reply. This email is to acknowledge your email and to let you know how much I appreciated your taking the time to prepare and research this info. Attached are two photos, that I scanned a few years ago. Dad is in the front row on the far right in the first and in the front row on the far left in Photo II. 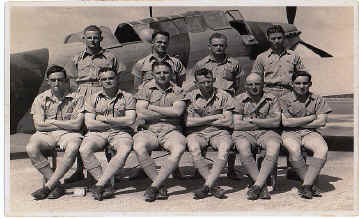 The third scan is of the back of photo II showing the date of March 1, 1944 in Australia. The second photo you already have in your collections as I found a similar photo on the Best of the Southwest website. I am not sure which crew is in the first photo. My father died November 9, 1981 in Rochester New York and is buried in Webster, New York. If anyone can help with the names in Photo I, let us know. I am Paul Dumas, Past Commander of the local DAV Chapter 179 in Plattsburgh NY. 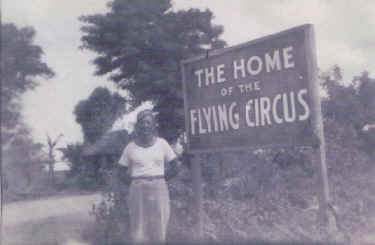 The chapter has a project on the oval of the old air base. After research we have named it the Plattsburgh Barracks Veterans Park. There are flags for each branch of the services and a flag for each of the local veterans originations. There are two walls for bricks in memory of a veteran. We have a few older members from the 380th that have purchased bricks. Our website http://www.davchapter179.com carries some of the pictures of the project. More information is available if interested. We would greatly appreciate any assistance you could provide in getting this information out to the members of the 380th.